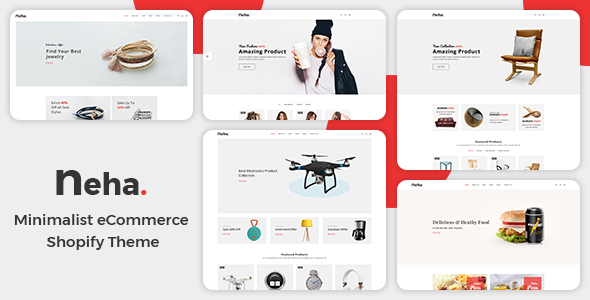 Neha – Multipurpose Shopify Theme is the best solution for your eCommerce website. This 100% responsive Shopify theme is suitable for a variety of business owners. This modern design ensures a minimalist look while offering endless possibilities. That is why looks perfect on any device or web-browser. If you need PSD files, please contact us via our support link or message option, PSD files are not provided with the downloadable package, as the file size is large.